Basic Wire Wrapping Class: In this introductory wire wrapping class, we will cover the basic fundamentals of wire wrapping objects without a hole. Learn everything you need to make the right decisions about which wire to use for your project. Class includes an overview of wire gauge, characteristics and tools needed to wrap your new pendant. 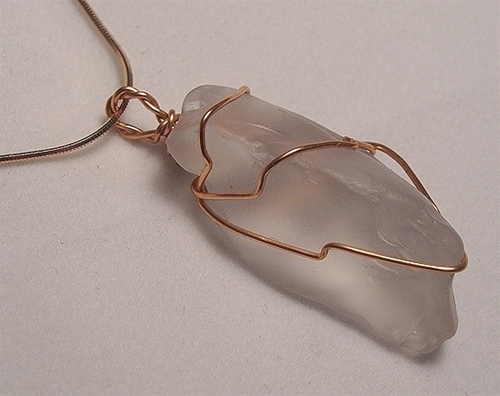 Students will leave with a free form wire-wrapped sea glass pendant. You are welcome to bring one or two items for wrapping and any tools you would like to use. Class time: 1.5 hour, Class Fee: $30 includes materials.